Now you can enjoy an opportunity to add custom cabinets to your most intimate daily living spaces. You'll love the way our well-built shelves enhance comfort and convenience. We want to assist you in obtaining a genuinely functional, appealing residential decor capable of reflecting your own personal style. By choosing us to install your new custom cabinets, you'll modify your home in a very practical, lovely way. View our portfolio of past projects to get a feel of what you're looking for. Hover and click on one of the categories to open the gallery! 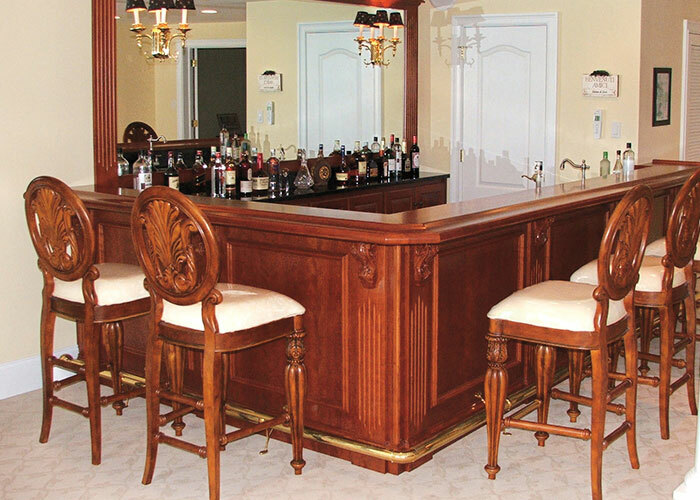 Enhance the attractiveness of your residence by requesting elegant custom made cabinets. Including this amenity in dining rooms, living rooms, bedrooms, playrooms, kitchens and home offices contributes to Pennsylvania properties in a distinctive, memorable way. By incorporating additional shelf-space into an interior design, you'll obtain useful storage and display capabilities, while also showcasing the loveliness of rich polished wood grains and textures. 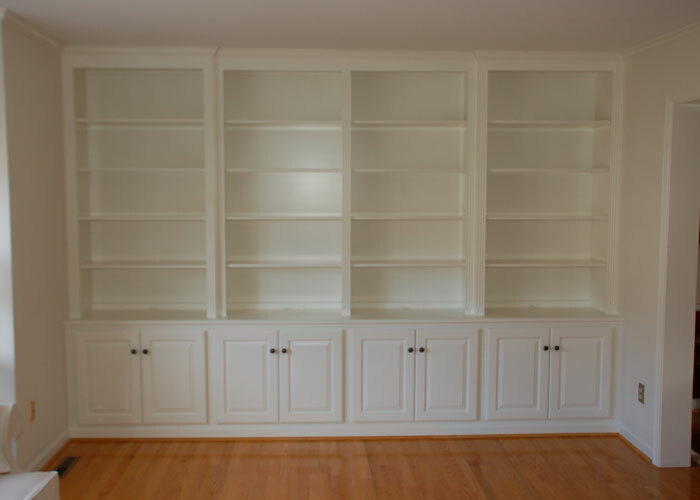 Many homes in Southeastern Pennsylvania display custom cabinets throughout their living spaces. 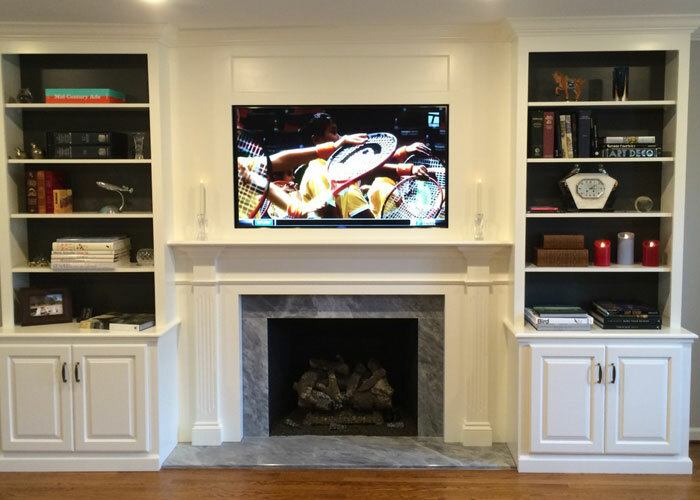 For outstanding built-in shelves, bookcases, wainscoting, and fireplace cabinets, get in touch with T. L. King Cabinetmakers. Consider the elegance of glossy, superbly-finished wood. From dark Mahogany and stained Maple, to reddish Cherry and the lighter tones of Oak or Pine, wooden shelving infuses zest and vitality into rooms. 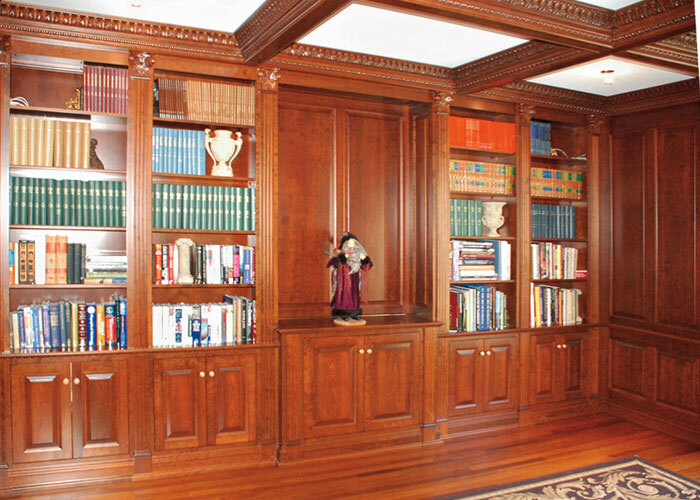 For example, your decision to commission a wall of solid, built-in bookcases can change a modest home office into an impressive permanent study. 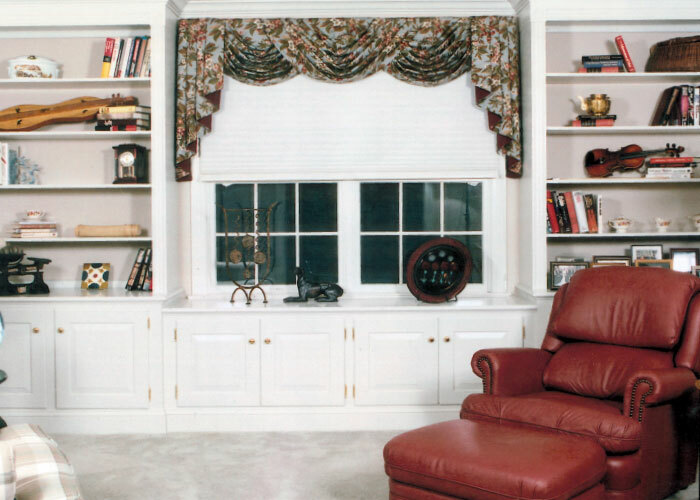 When you ask us to create stylish window-wall cabinets, you'll leave your personal imprint on areas of your residence. Design fashionable, welcoming long-lasting custom made cabinets to delight family members and visitors alike. If you own a charming Pennsylvania estate, you'll enjoy using the services of T.L. 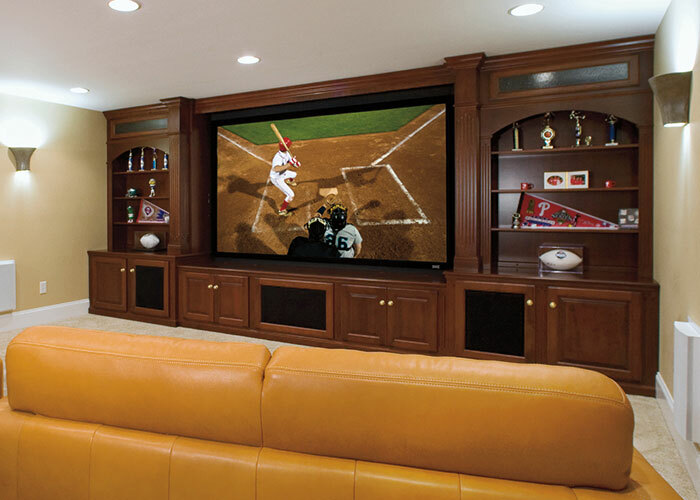 King Cabinetmakers to help tailor your home. Unleash your creativity! We'll use our woodworking skills to craft the beautiful wall cabinets, linen shelves, bookshelves, closet shelving and fireplace cabinets you envision. Ask us to install impressive custom cabinets in your PA home to decorate your living spaces in a unique, distinctive way. Do you reside in the Greater Philadelphia Metropolitan Area between the southern expanses of the Delaware River Valley, the Schuykill River Valley and the Susquehanna River Valley? If you've lived in this region for any period of time, you'll appreciate our celebrated local tradition of carpentry and furniture making! 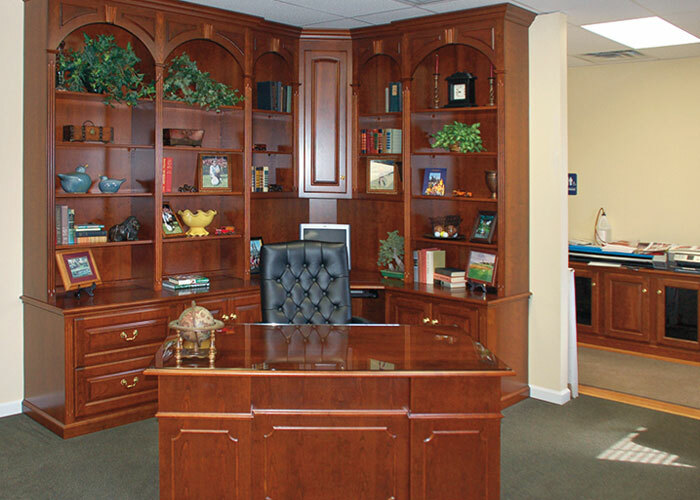 At T. L. King Cabinetmakers we possess extensive woodworking skills. You can rely on us to adhere to high standards of artisanship and customer service. Contact us today to discuss your renovation plans.